I can't believe I just discovered this today: there's an option on my macbook to use two finger clicks for a secondary click. On my old ibook, I had installed iscroll2 and enabled this feature, but I always thought it was a hack and not something supported natively by apple. 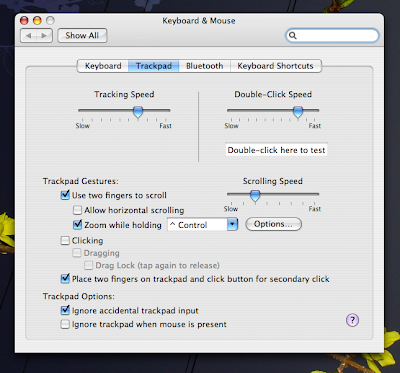 Anyway, to enable easier right clicks, open System Preferences > Keyboard and Mouse > Trackpad and check "Place two fingers on trackpad and click button for secondary click." No more ctrl clicks!